and only 10% in NSW. One significant difference is the number of AEDs in the community. Sudden cardiac arrest can strike any age, anywhere, anytime. 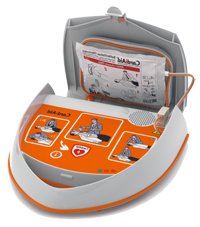 The only definitive treatment is defibrillation. with 90 people affected a day. The national road toll in 2014 was 1155. Deaths from sudden cardiac arrest were over 30,000. You can help to reduce that figure. The average ambulance response time is 9-14 minutes in the city. Service options include delivery, set-up and training of equipment from trained sales and customer service representatives. Sudden cardiac arrest is not a heart attack. 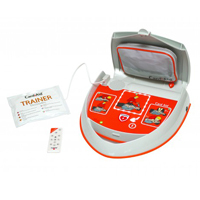 There are often no warning signs and the only definitive treatment is defibrillation. 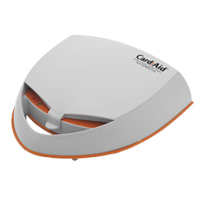 Register your CardiAid AED to extend your warranty. A 57-year-old taxi driver collapsed while he was driving. 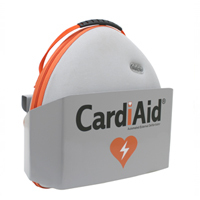 A policeman from Ricany City Police used CardiAid in the police car to save the victim. With a successful shock the man was brought back to life. A 77-year-old sudden cardiac arrest victim was saved by the successful defibrillation of CardiAid at the sailing club. He is reported to be healthy and was discharged from the hospital a few days later. 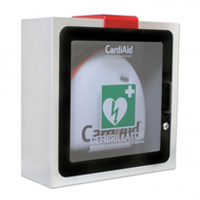 LifeStation is the Australian distributor of CardiAid AEDs.